I can't believe I never posted the February Jelly Roll Party quilt! Or the March one, but that can wait. For now, here is "Twirl," pattern by Fig Tree & Co.
Wow, not the best photo! 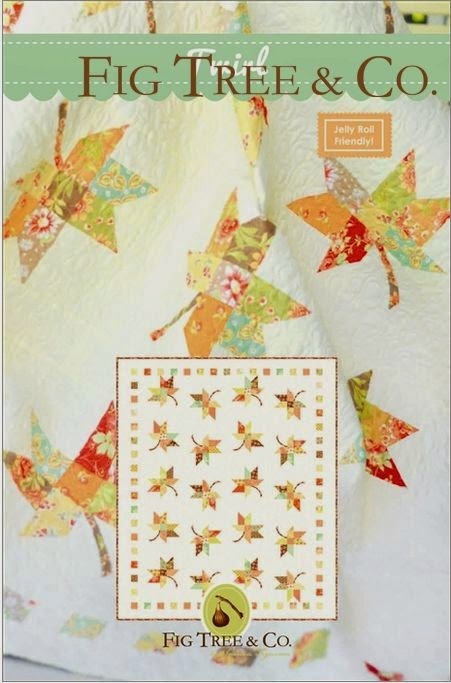 Here is the one from the pattern cover at Fig Tree & Co. so you can see the whole quilt! The stems on the leaves are applique'd. 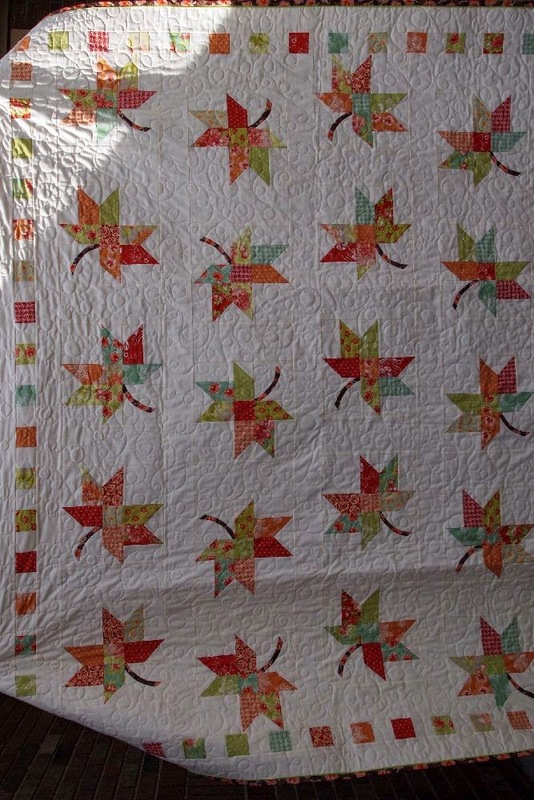 I didn't realize that until I started sewing the quilt (four days before the sample was due!). So I used Wonder Under and raw edge applique'd them in place. While the quilt was hanging above the register counter at Ruth's Stitchery, it wasn't even possible to see my sloppy applique' job! The fabric were so pretty, more than one "partier" used the same jelly roll for her quilt. I quilted it on my Viking Mega Quilter using my favorite "loops and swirls" pattern. I absolutely love those leaves! Very pretty quilt. I like that the leaves seem to have movement to them. 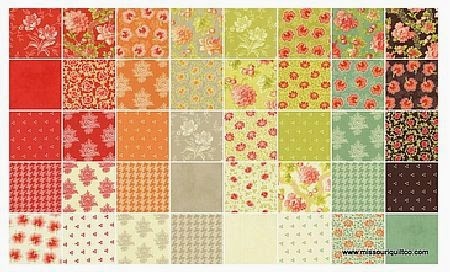 That is such a pretty quilt, I do love Fig Tree fabrics. I LOVE that Twirl quilt, especially as I live in Somerset :-) what a great job you did. Hi Marti, the quilt looks very well with these fabrics. And the quilting is fantastic... congratulations!! !